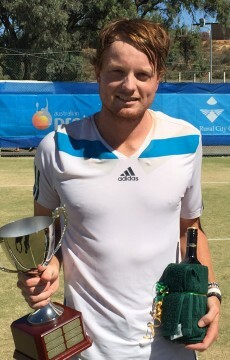 Super Saturday saw eleven Aussies take to the courts at Melbourne Park. Super Saturday saw eleven Aussies take to the courts at Melbourne Park, including of course Bernard Tomic in his entertaining but ultimately unsuccessful bid to topple Roger Federer in the night session on Rod Laver Arena. Prior to that, it was Matthew Ebden and Jarmila Gajdosova up early and taking on Sabine Lisicki and veteran Dane Frederik Nielsen in a first round mixed doubles match. After falling behind, they rallied to overcome the more experienced pair 7-6(6) 6-3. After the match, Gajdosova said it felt pretty good on court. “We had a slow start but we got there in the end and had a win. That’s all that matters,” she said. 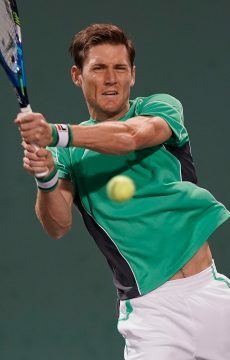 Ebden said he enjoyed his first time on court with Gajdosova. “I love Jarka’s attitude. She’s clutch. 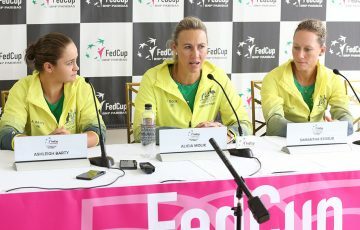 We saved a lot of set points out there and she made great serves, picked up some great points, ” said Ebden. Other winners today included Anastasia Rodionova as she and Zimbabwean Cara Black cruised past Shuko Aoyama and Irini Falconi 6-4 6-4 in their second round doubles match. 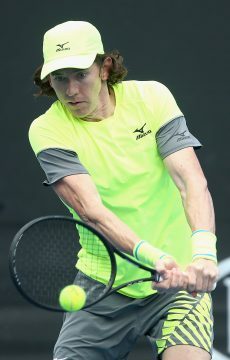 On the other end of the ledger were Aussie wildcards John Millman and Matthew Barton who, despite a serious charge late, lost their second round doubles encounter to Kevin Anderson and veteran Jonathan Erlich 6-1 6-7(5) 6-3. Ashleigh Barty stepped out for a first round mixed doubles match with up-and-coming American Jack Sock but they too fell short, going down 6-3 6-3 to doubles specialists Su-Wei Hsieh and Rohan Bopanna. Samantha Stosur and her German partner Julia Goerges were surprisingly unable to get past Varvara Lepchenko and Saisai Zheng, going down 7-5 3-6 7-5 in their second round. Finally, Casey Dellacqua and John-Patrick Smith followed the Tomic and Federer clash but were unable to give Australia any joy on the night, after they were defeated in two tiebreakers by Daniele Bracciali and Andrea Hlavackova in their first round mixed doubles affair, 7-6(3) 7-6(4).